1Locate a question you can answer. 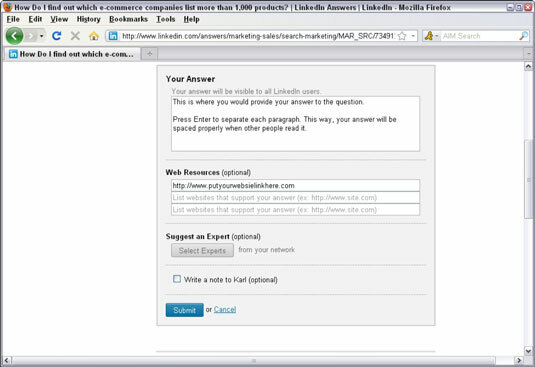 Click the More link from the top navigation bar on any LinkedIn page, and then the Answers link from the expanded menu. 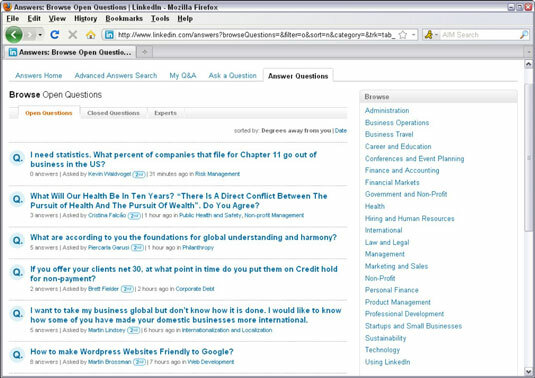 The Answers home page opens. 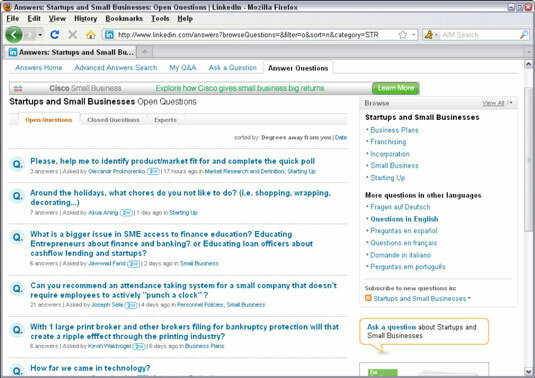 2Click the Answer Questions tab to browse the categories of open questions. You see an Open Questions list. 3Click a category name in the pane on the right. If you need to, click a subcategory on the right to narrow down your search even further. This step narrows down the Open Questions list. Suppose you choose the Startups and Small Businesses category. You see the Open Questions list for that category. You also see a new pane of subcategories on the right. 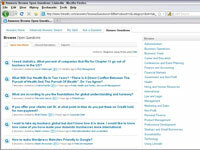 4When you find a question you want to answer, click the link for that question. This brings up the Question page. Read through the specifics of what the person is asking. Scroll down to see what answers, if any, have already been given. This way, you can incorporate their information into your answer so you’re not repeating the same thing and you are providing new, helpful information. 5Click the Answer button to start preparing your response. The Your Answer form smoothly pops open right in the middle of the page you’re viewing. 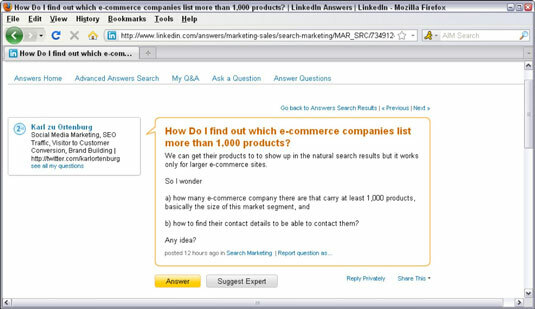 If you don’t see the Answer button, perhaps this question has been closed by the person who posted the question, meaning that person isn’t looking for any more answers to this question. It could also be that the question automatically closed after seven days of being on LinkedIn. You can contribute to open questions only. 6Type your response in the Your Answer text box. 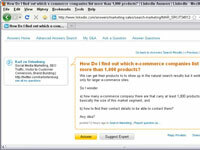 Additionally, you can enter Web sites that are part of your answer. You can also suggest up to three experts who could further expand on your answer. You’re taken back to the Question posting page, and your answer is posted along with any other answers. The person who posted the question will be notified that a new answer has been posted.